This is the ninth pattern in the line, a modern zip-front jacket with peplum seaming. The jacket is fully lined, so it’s easy to slip on over layers. This great-fitting modern jacket is perfect for work, weekend or a special night out! I hope you like it! Well, its only 4 weeks to Christmas and I still need a few more presents for my family and friends! 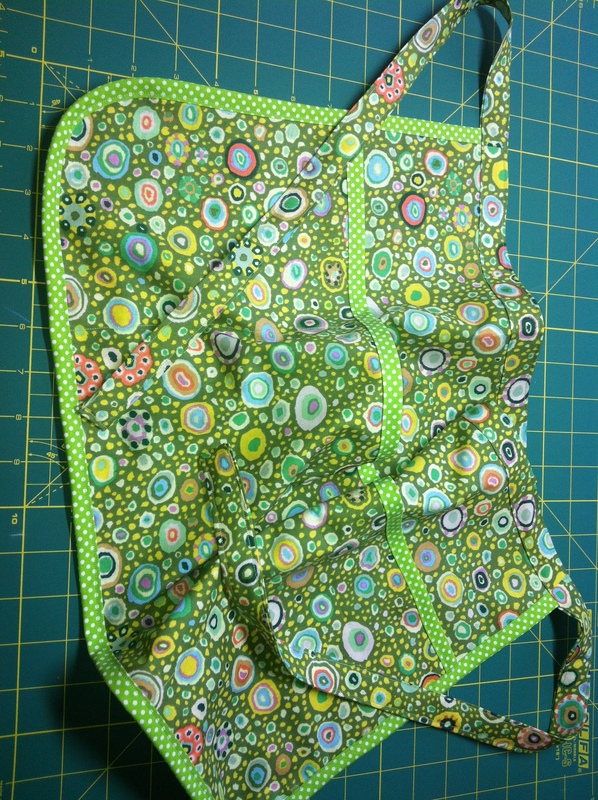 This week for my Monday make I am making a quilted pocket purse. It was so quick and easy that I might make another one for someone else. First of all I cut out 1 large piece of flowery fabric for the main body (I used this lovely fabric called Field Study form Trixie Lixie) This piece is 40cm x 30cm. Also in the main fabric I cut out a flap which is 30cm wide and has a curve 10cm at its widest. Also cut these 2 pieces out in wadding or batting for the quilting. For the lining I cut another flap the same size as above and then 2 pieces 30cm x 20cm. I marked the quilting lines on the main bag and flap fabric using a ruler to create diamond shapes. Next I pinned the wadding to the wrong side of the flap and attached it by quilting along the lines, I then did the same for the main body. Then pin and sew the flap lining to the flap right sides together, trim and turn right way around. 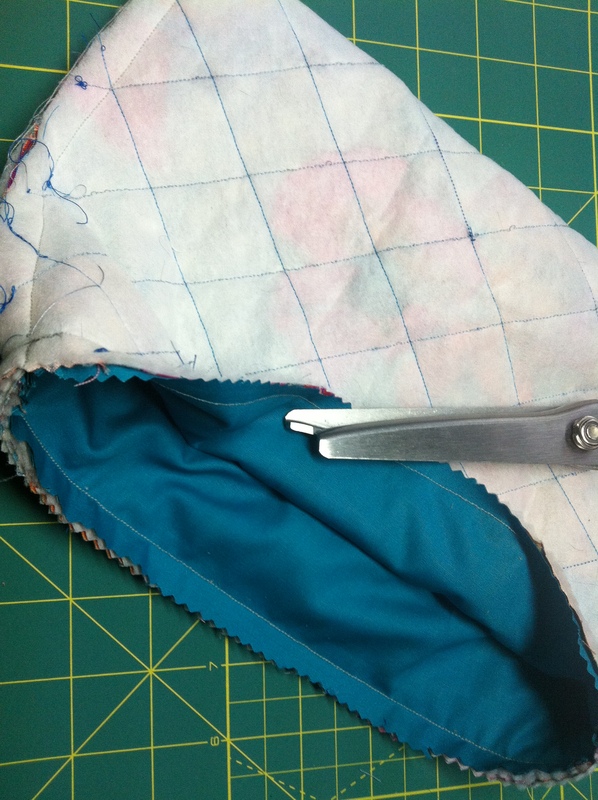 Fold the bag in half length-ways with right sides together, tuck in the flap and sew up the side seams. Stitch the 2 lining pieces together along the side seams, turn the right way around and then slip inside the bag so that the right sides are together. Pin and sew the bottom of the lining closed. Push the lining in and all you need to do now is sew on a popper fastener, I decorated the flap with a button as well. Thats another Christmas present finished! 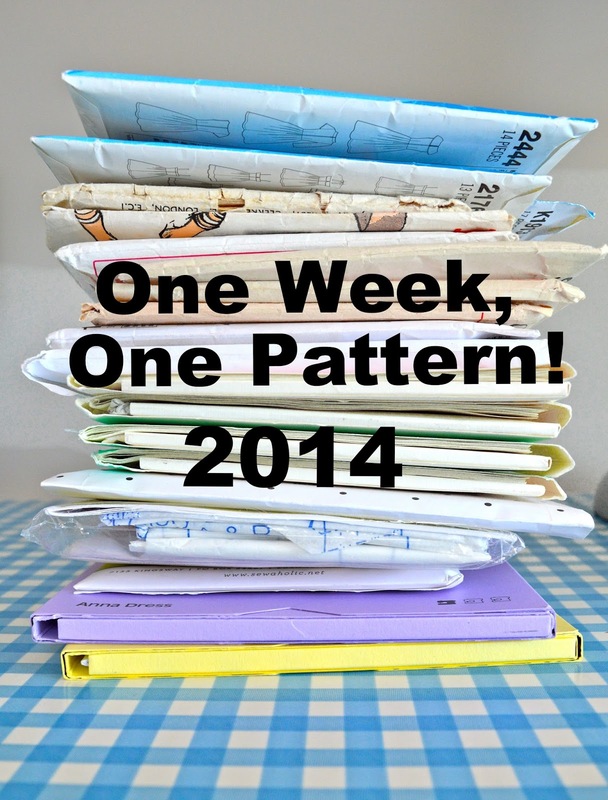 New ElizaM patterns arriving any day now! We have got some new sewing patterns arriving any day now from British designer ElizaM. Simple, easy to follow, no nonsense vintage style patterns suitable for the novice or beginner sewer! If you are new to sewing or haven’t tried your hand at creating a dress, let alone a vintage style dress then ElizaM’s patterns are sure to ease you into the vintage style world beautifully, You’ll be sewing a whole new Mad Men inspired wardrobe before you know it. I cut the lining 10cm longer so that I could turn it over to finish the top. Next trim the seams around the curves then I turn the main piece the right way around. Then pin and sew up the lining when that is done place it inside the main body and turn over the top to neaten. at this point I decided to add some red pom pom and a piece of red velvet ribbon to hang it up with. All it needs now is for Santa to fill it with goodies! 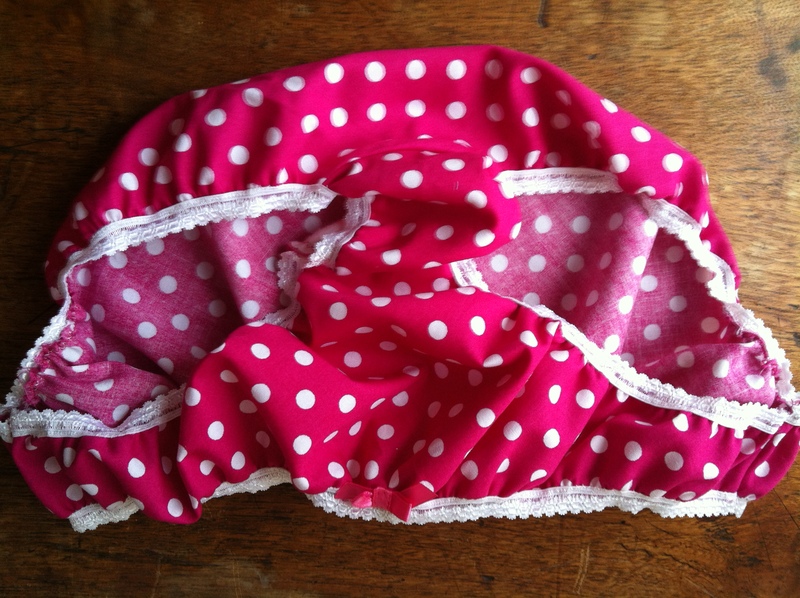 I am a bit obsessed at the moment with making knickers, ever since I realised how easy they are to make! You need to place the pattern pieces at an angle across the fabric (against the gradient) so that it is slightly stretchy, any medium weight cotton fabric will be good, or even silk! You will also need a gusset piece, for this a piece of t-shirt fabric is good. Sewing the elastic on is a little bit tricky, you have to pull it towards you as you sew to give it tension. The elastic is sewn on with a zig zag stitch (use the same colour thread as the elastic for a neater finish) it is sewn on to the right side of the fabric with the frill at the top sitting slightly over the edge. As you pull the elastic help the fabric to feed by holding it at the back of the machine. Do the top and bottom edges, then do the leg edges. When that is done place the sides together and stitch. I can’t wait to make both of these! For the main piece I cut out a rectangle 60cm x 30cm, the pocket piece is a rectangle 60cm x 20 cm and the ties are 3 strips 60cm x 10cm. 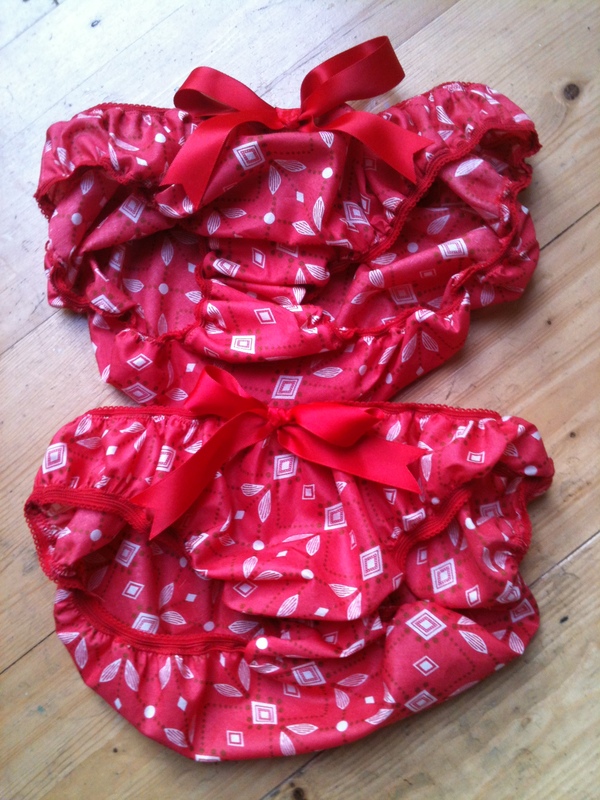 I used my fantastic new Fiskar pinking shears to cut out the fabric so that I wouldn’t need to neaten any of the edges. I also curved the bottom 2 corners of the main piece and pocket piece. The first thing to do is to attach some of the bias binding to the top of the pocket piece. Next I marked the pocket divisions on the pocket by ruling a line 15cm in from each edge then attach the pocket to the main piece along these lines. The next step is to attach the rest of the bias binding to the sides and bottom of the pinny. Once you’ve done this we can start on the straps, join the short ends of the 3 ties to make one long strip, iron the seams open. Fold it in half lengthways and unfold. Now fold both long edges to the centre crease and press in place. Open out the centre fold and pin the strap to the apron. Turn the upper half of the strip over the top edge of the apron and pin in place. Top stitch all the way along the bottom edge, round the edges and then along the top of the strap. That it! Wrap it up and give to someone for Christmas!